Lama Gursam will be visiting the Florida Drikung Dzogchen Community from Monday 27 October through Saturday 1 November 2008. He will be an empowerment, transmissions and teachings on Achi Chokyi Drolma, the main protector of the Drikung Kagyu lineage. More information will be posted as it becomes available. 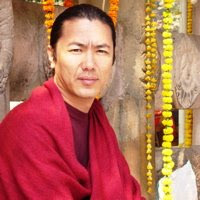 Lama Gursam's biography can be found here.